What is the Quickest Way to Recover from ACL Surgery? ACL surgery recovery takes time. The length of time varies depending on the severity of the injury and the type of surgery you have, but most people can expect to be back on their feet (possibly with crutches) after several weeks, and back to normal activities after several months. Of course, nobody wants to be off their feet for long if it can be avoided. The fastest way to recover from ACL surgery, or any other injury, is to help your body heal faster. When your body suffers an injury, its natural response is inflammation. Although this inflammatory response is necessary for the healing process, it can also slow down recovery if it's not controlled. The same is true for surgery, which essentially damages tissues in the effort to repair them. Nutrients - Eat healthy foods and ensure that you maintain a balanced diet. Rest - Don't push your body too hard during recovery; let all your precious energy go toward tissue repair. Ice - With inflammation comes swelling, which is not only painful, it also causes cell death and excess cell waste production near the injury. Application of cold therapy helps reduce swelling, protecting healthy cells from becoming damaged. Compression - Inflammation also causes edema, or excess fluid, to build up around damaged tissues. Active compression pumps it away, allowing fresh blood, oxygen, and nutrients to reach the area. The combination of cold therapy and compression provides even more benefits than either of these options alone. As the therapeutic cold slows down the body's inflammatory response, active compression removes edema and pumps away cellular waste while bringing vital nutrients to the area at the same time. If you have the option, use any time before surgery to help you prepare your body. This can include cycling, stretching, and some strength training to help you build the muscle surrounding your knee joint. The better prepared you are before the operation, the faster your ACL surgery recovery will be. Always talk to your doctor before doing any activity with a damaged ACL. They will be able to tell you which activities are acceptable and which ones should be avoided. Game Ready provides knee wraps for ACL surgery recovery and many other types of injuries. Our patented active cold and compression system is proven to help speed up surgery recovery. Contact us, or ask your doctor or physical therapist how to get Game Ready so you can recover faster. 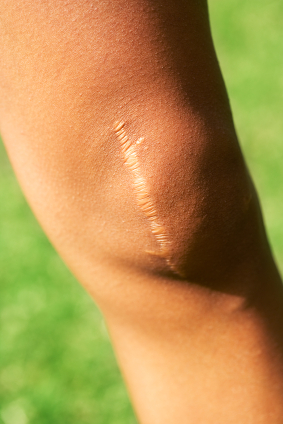 Do you have an ACL surgery scheduled? What are you doing to prepare?